The summer market is sizzling at AGC. Team AGC hits a home run with this Ashburn Farm Condo! Our gorgeous one-bedroom condo in Ashburn Farm was quickly snatched up in this unpredictable summer market. New carpet, fresh paint, and a custom closet are just some of the many upgrades and features that the buyers fell in love with. Add the brand-new appliances and 2 mounted TVs that also conveyed with the property and you have a clear winner. Marketing and staging are more important than ever in Loudoun real estate sales today. 1) Differentiate your property from others – Custom closets, mounted TVs, new roofs and stunning kitchens are just a sampling of things that can provide that extra “WOW” factor for potential buyers when they are considering which house to call home. 2) Declutter, Declutter, Declutter – if a buyer cannot see themselves in your home they will NOT be interested in making an offer on it. By packing up your items and clearing space it helps buyers picture their belongings in the property. 3) Move-in ready – Being able to move right into a home is extremely appealing to NOVA buyers. Most purchasers are using the bulk of their savings on their down payment and by allowing them to move right in and enjoy their home ASAP broadens the pool of potential home buyers and exposes your property to a larger market. Looking to sell your Loudoun house quickly and for top dollar? 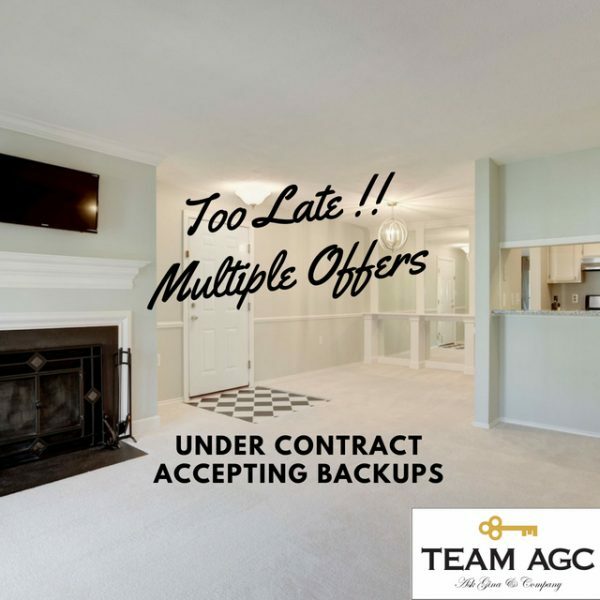 Call Team AGC today for your free comparative market analysis and consultation at 703-574-3478.